IRIS Large Desktop File Box, 4 Pack Set, Clear, are perfect for desktop or bookshelf use. 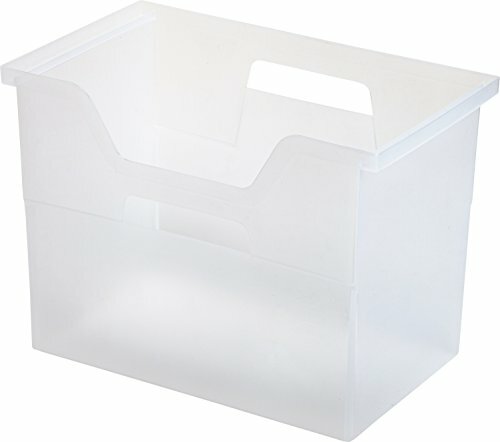 These file boxes allow easy access and have carrying handles for portability. Use upright to hold files or on the stand on end to store binders and books.